Bats, generally beneficial because of their ravenous appetite for insects are most often the victims of public ignorance and fear. Nevertheless , the fear of bats shared by a large segment of the public has possibly saved lives because rabies occurs in 4% to 6% of some bat populations. This instilled fear of bats has probably kept children, in particular, as well as adults from being bitten. Picking up a live bat found on the ground may be tempting, but such bats MAY be rabid. 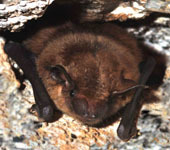 Several bat species have adapted readily to small openings in human-made structures. Bats can enter through openings as small as 3/8 inch in width. 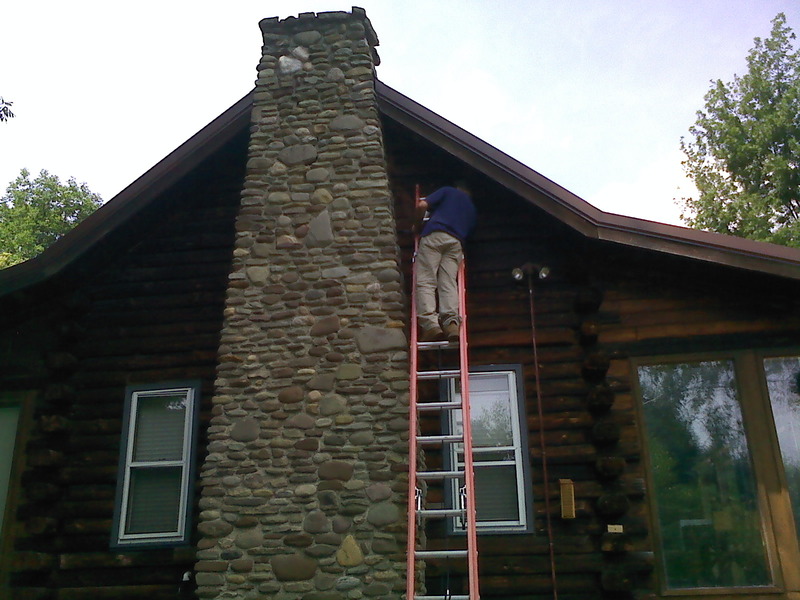 Common entry points to homes include gable vents, utility penetrations, loose flashing, uncapped chimney flues, and fascia board gaps. The little brown bat ( these are the pictures on this site ), and the big brown bat are very well adapted to our homes and other man made structures. 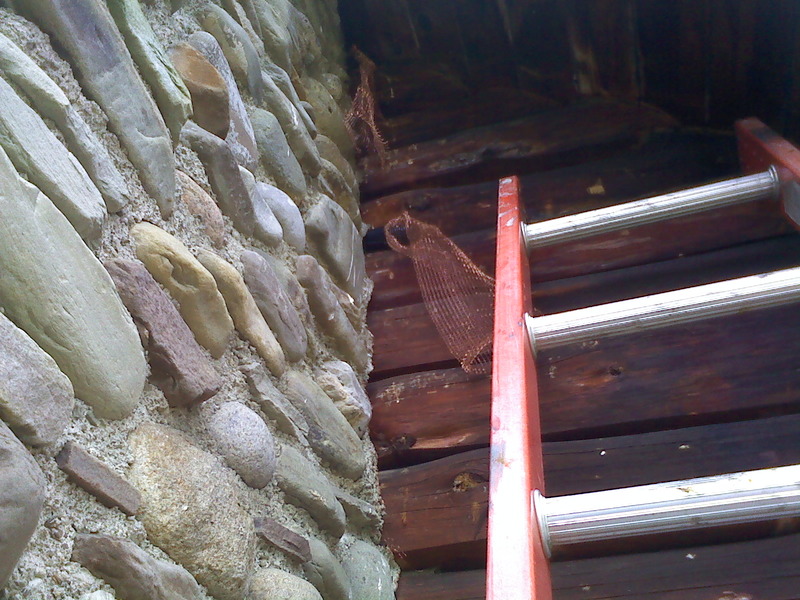 Bat droppings ( guano ) and urine in a home may cause a persistent stench that is intolerable. 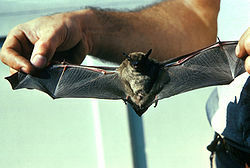 Bats are implicated in a number of human diseases, with rabies receiving the greatest attention. Histoplasmosis, an often fatal systemic fungal disease affecting humans. the bats themselves do not transmit the disease, but the fungus can be contracted by inhaling the airborne spores in the dust of bat manure ( guano ) that supports the growth of this fungus. Bats are also associated with a few other diseases. Bats can also carry the bat bug ( similar to the bed bug ), Mites, Fleas, and ticks. A variety of control options are available for bats with the best option being Exclusion.